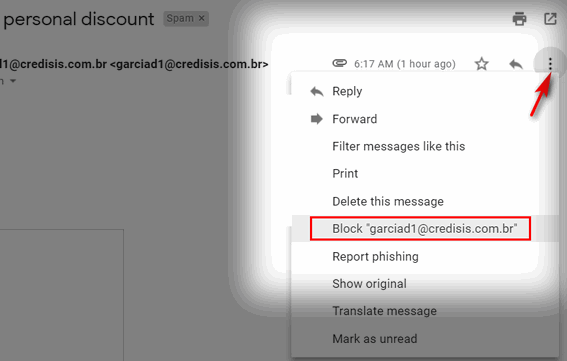 Here is the easiest way to block a sender if you’re using Gmail. 1. Open an email that came from the sender you want to block. 2. Click the More menu button (the three vertical dots icon) next to the Reply button near the top of the message. 3. Select Block ” whatever @ whatever.com ” in the menu that appears. 4. A confirmation dialog will appear. Click “Block” in the confirmation dialog. And that’s how you block a sender in Gmail. From now on, all messages from the sender you blocked will be sent directly to the Gmail spam folder. This should prevent you from getting any more email from that sender in your Gmail Inbox. Find an email from someone you’ve blocked in your Gmail spam folder and open it. 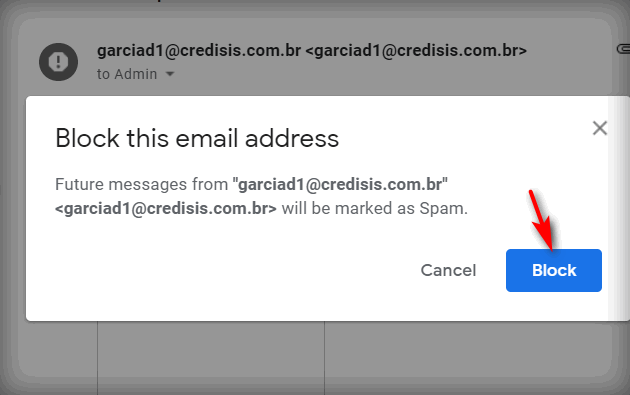 Now follow the instructions above, only this time, if the sender is already blocked you’ll see “Unblock” in the drop-down menu and “Unblock” in the confirmation dialog. Does this pertain to the ads that google generates? If so mine doesn’t work so thinking it’s other emails we don’t want? Thanks. The ads google generates are not emails. Hi, When I click on the three dots a totally different menu drops down. Nothing that mentions Blocking. Did I miss something? You have to open the email and look next to the Reply arrow – as shown in the picture.